Flying in the Washington D.C. Special Flight Rules Area — or SFRA — isn’t hard, but it does have some important differences from most other parts of the country. 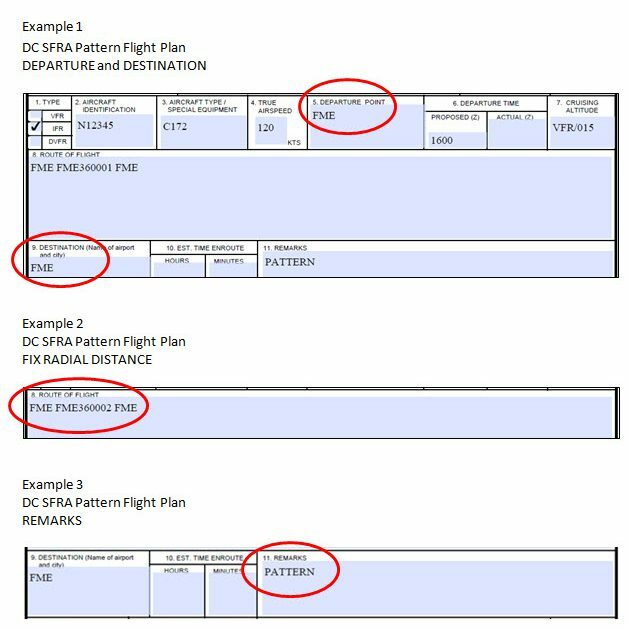 This month, the folks at Potomac TRACON published a NOTAM covering changes to the way flight plans are filed to do pattern work in the SFRA. The changes are pretty minor overall, but the most notable one is the request that pilots include a Fix Radial Distance for their airport in the Route section of the flight plan. That FRD ensures that the National Airspace System computers recognize the flight plan. The FRD stays the same for any airport you’re doing pattern work at. 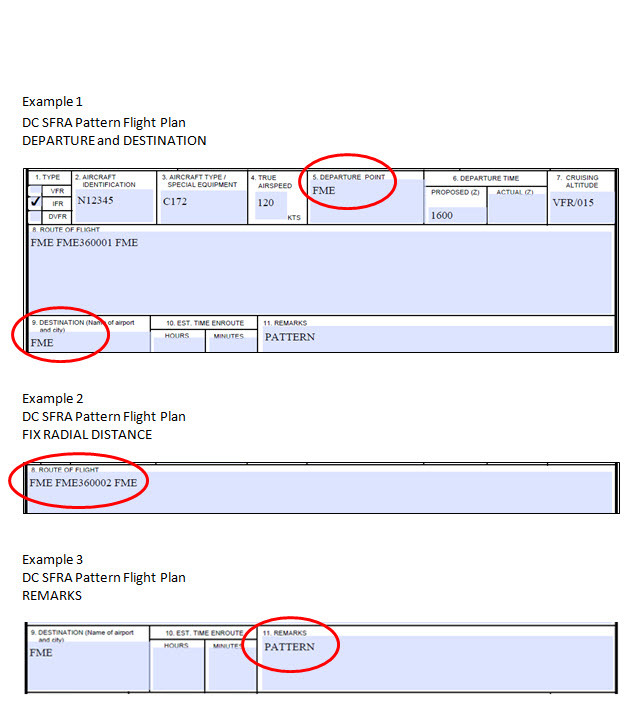 They also want to see “PATTERN” in the flight plan remarks. 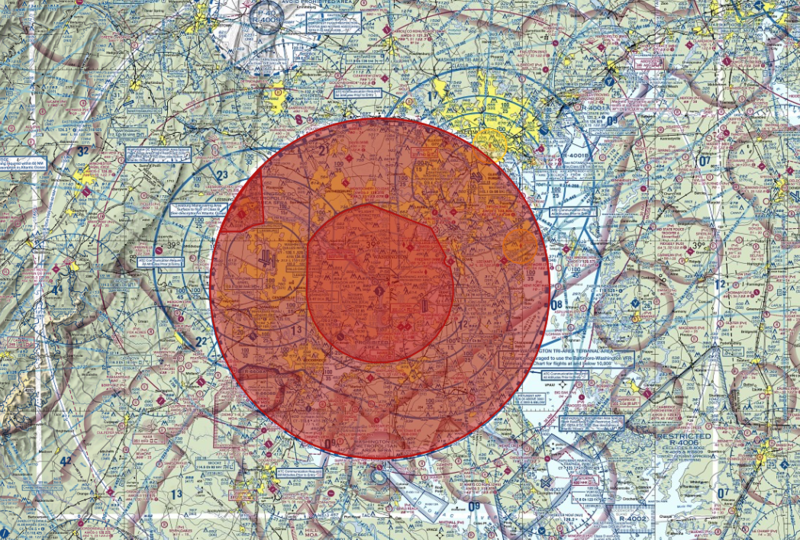 This example, from the NOTAM, shows what an SFRA pattern work flight plan at FME would look like. The requested changes from Potomac are pretty minor — and for those of us who typically file via ForeFlight, it’ll be as easy as doing it once and then copying the flight plan for future pattern work flights. If you’re not used to flying in the SFRA, I realize it can be a little daunting — even for professional pilots! But if you simply avoid it, you’re missing out on some fantastic airports and a great way to get across the Chesapeake Bay. If you’re an area pilot looking to get more comfortable with flying VFR in the SFRA, feel free to contact me to set up a familiarization flight and learn the tricks of flying around the nation’s capitol.